We are staying at a nice hotel. 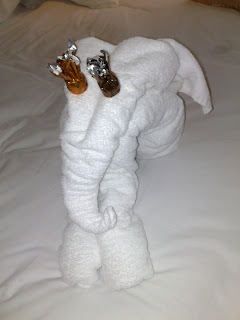 So when they gave us fresh towels this evening, I couldn't resist my happy cruising memories and made this towel animal! >I LOVE your towel elephant!! Previous Previous post: What a great year!